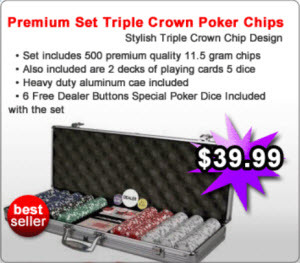 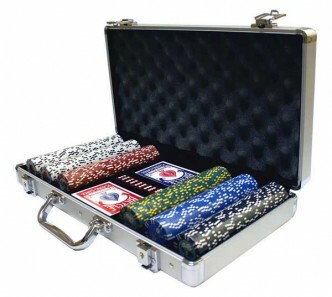 This highly exclusive chip set is suitable for up to 8 players. 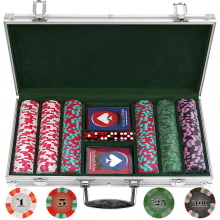 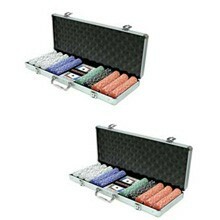 The black high quality case contains 500 pieces 15 Gram clay chips in a new ”Casino Ace” design. 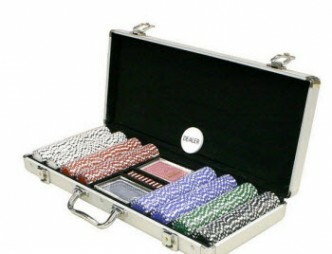 The chips are the heaviest we have and we consider them to be ideal for the live poker enthusiast. 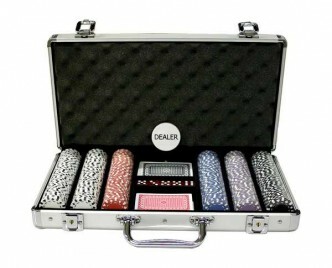 As this 15 Gram set is somewhat more expensive than many of our other sets it might not suit everybody. 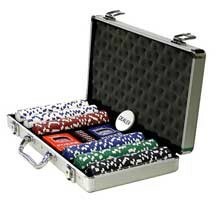 However, we believe that you will not be sorry for the few extra pounds you pay since this set received the highest grade ever from our team of WSOP poker experts. 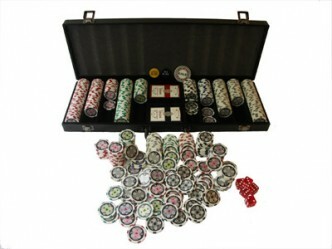 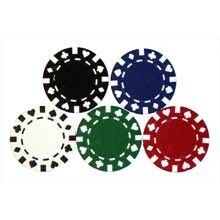 This new line of Black 15 Gram Clay Poker Chip Sets received nothing but praise!